“Data journalism is obtaining, reporting on, curating and publishing data in the public interest.” – Jonathan Stray, journalist and computer scientist. Last November at a 48 hour workshop at Mozilla Festival in London, a number of journalists and developers started work on the first Data Journalism Handbook. The main focus of the effort was to have a comprehensive step-by-step guide to data journalism as there are a lot of useful resources on the web, but they are not organized in one place. 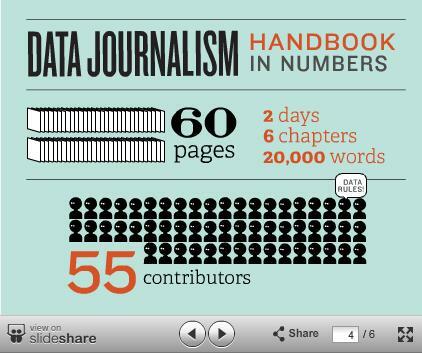 The Data Journalism Handbook was coordinated by the European Journalism Centre and the Open Knowledge Foundation. Click on the image to watch a slideshow. The initial effort subsequently transformed into an international, collaborative effort involving many of data journalism's leading advocates and best practitioners – including from the Australian Broadcasting Corporation, the BBC, the Chicago Tribune, Deutsche Welle, the Guardian, the Financial Times, Helsingin Sanomat, La Nacion, the New York Times, ProPublica, the Washington Post, the Texas Tribune, Verdens Gang, Wales Online, Zeit Online and many others. The Handbook has been formally launched on 28th of April, 2012 at the International Journalism Festival in Perugia. 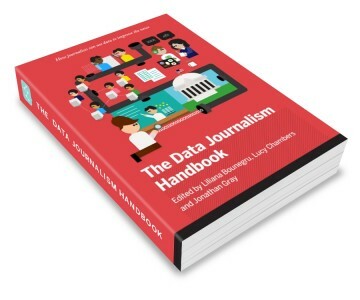 The first version of the Data Journalism Handbook is now available for download at datajournalismhandbook.org under a Creative Commons Attribution ShareAlike License. There will also be a printed and e-book version published by O’Reilly Media. The handbook explains “What Is Data Journalism?“, “Why Journalists Should Use Data” and “Why Is Data Journalism Important?“among other things. It features case studies and tells how to mine data, analyze it and deliver it via a story. You don’t need to be in a large newsroom with a lot of specialists to use data in your articles. 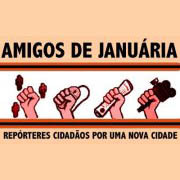 After twelve workshops, Soraia and Alysson, neither of whom have a background in journalism, were able to work on data powered stories and write interesting pieces about their local situation. In addition, their articles show that data itself can be useful even on a small scale. In other words, that there is also valuable information in small datasets and tables — not only in huge databases. Data-driven journalism is a journalistic process based on analyzing and filtering with open source tools large data sets, which are freely available online. The goal of this process is to tell journalistic stories based on the data. This connection between data and story tries to bridge the gap between developments that are relevant and to tell a story that is verifiable, trustworthy, relevant and easy to remember. Data Journalism is a new phenomenon and there is a growing list of examples how it can be applied. Guardian has an extensive list of data stories and of course the release by whistle-blower organization WikiLeaks of huge data set of the Afghan War Diary. This website is dedicated to providing anyone interested in getting started with data driven journalism with a collection of learning resources, including relevant events, tools, tutorials, interviews and case studies. Also follow its Facebook and Twitter pages for regular updates.